This long white beach at Quirra is made of small pebbles rounded off by the sea. Due to the fact that there are no beach bars and because of its length, it is never crowded not even in high season. The castle ruins of Quirra is situated on the 296-metre high Monte Cudias. It was founded in the 13th century to defend the border between the Judaates Cagliari and Gallura. It is accessible by car to within a few hundred metres below the ruin. The last hundred metres to the castle must be covered on foot. The effort is worthwhile: you will be rewarded with a fantastic panorama view. The small Romanesque San Nicolo di Quirra church, which was built in the late 12th century, lies below Quirra castle. The church is set in a park, with huge stone tables and benches beneath shady trees, ideal for a lunchtime picnic. Villa Beatrice lies on approximately two acres of undeveloped property right on the sea. 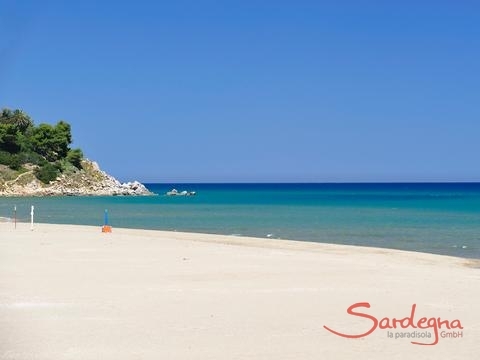 To reach the fine-grained beach, simply walk 150m through the property of your villa to the edge of the water. Here one can indulge in the dream of every vacationer, a quick morning swim before breakfast. Torresalinas is a charming region in southeastern Sardinia, largely free from tourism and only four miles from the town of Muravera. The broad half-mile long beach, with its scenic bay, is ideal for swimming and seaside strolls. 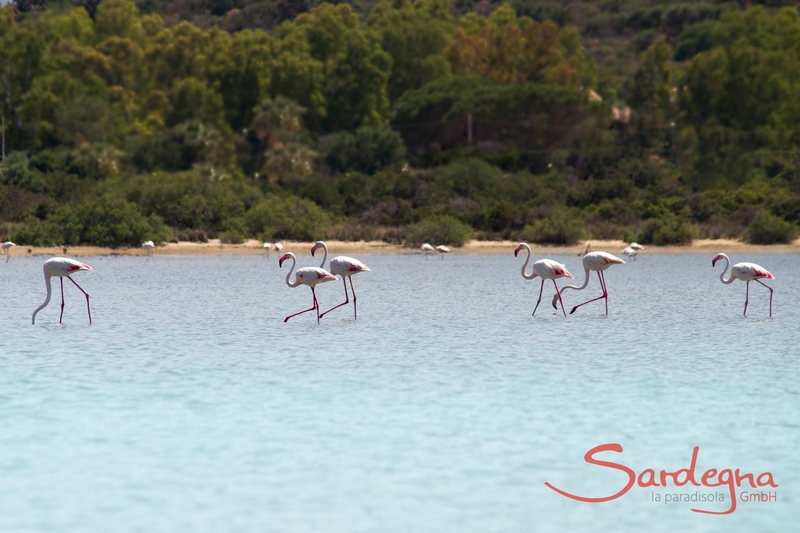 The villa itself is situated on a nature preserve which serves as a home to flamingos. A little road behind the house leads to the next neighboring homes and to a small hotel. The house is built in a U-shape, and was originally used as a riding center. The inner courtyard on the ground floor originally held horse stables and is charmingly reminiscent of an old abbey. 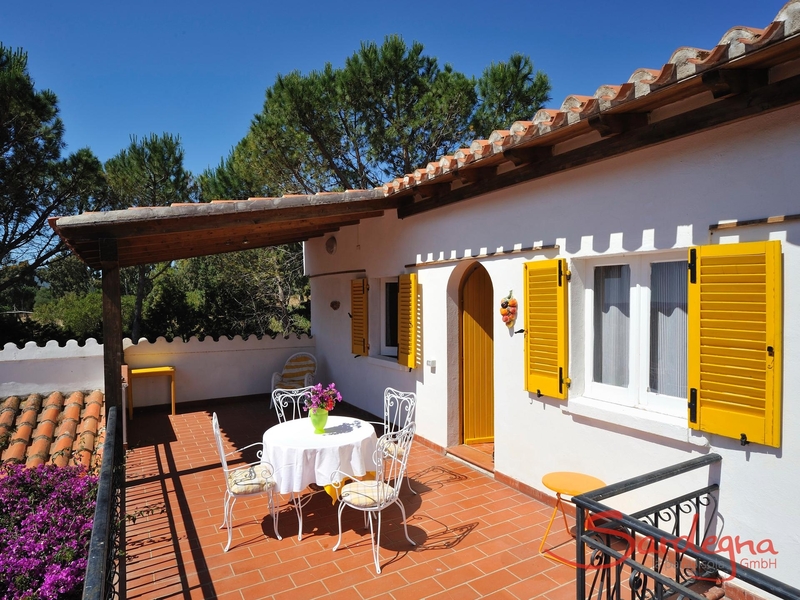 Villa Beatrice is purposefully decorated and tastefully appointed. The bedrooms in the lower living area open directly to the inner courtyard. An additional bedroom, reached by an outdoor staircase, is located in the upstairs floor. Also on this level are an additional bathroom and a large, half-covered terrace with a view of the water. The Mediterranean enjoyment of the outdoors can truly be enjoyed in the courtyard with its large dining table and built-in barbeque. Guests will truly enjoy the flowered, protected Pergola and comfortable outdoor sun lounge chairs. A romantic path through evergreen macchia bushes leads directly to the sea. Instead of the classic terrace there is a pebbled forecourt with a grassy lawn. With five bedrooms and a total of ten beds, even two families would enjoy the roomy space of the villa. In the upper storey, reached by an outdoor staircase, is a double room, one bathroom and a furnished patio with views of the sea. The small living room has its own fireplace. The roomy built-in kitchen is aptly appointed and has a dishwashing machine. A washing machine is also included. Despite the spaciousness of the house, the owners limit the number of guests to six people. Enjoy the video of villa Beatrice! Daily cappuccinos lie a short walk away at the beach bar “Il Moro,” or at the nearby camping ground. There you can also find fresh Austrian rolls in the morning. A rich assortment of restaurants and shopping opportunities of all sorts are found in the nearby town of Muravera. Around the corner in San Priamo, churches, gas stations, fishmongers, supermarkets and restaurants offer a nicely authentic atmosphere. 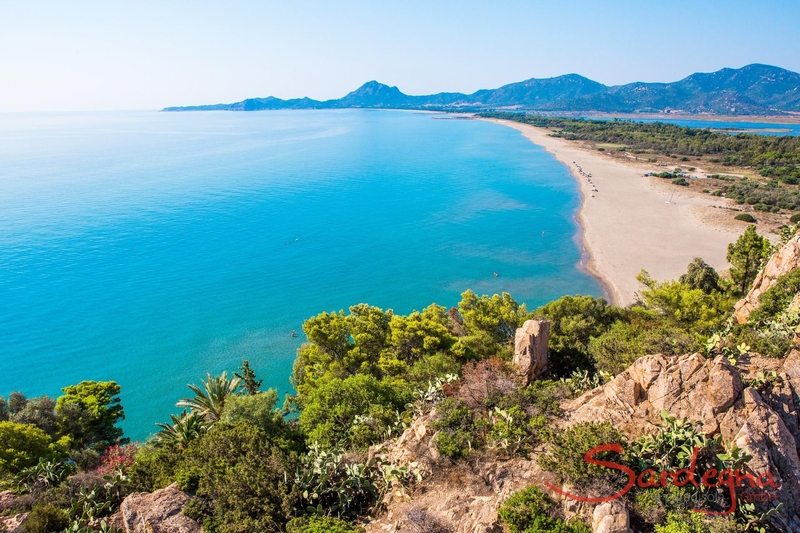 For beaches, guests can choose from Torresalinas, Ferraxi, Capo Ferrato and Costa Rei. To Cagliari and the airport, it is only 50 minutes by car. 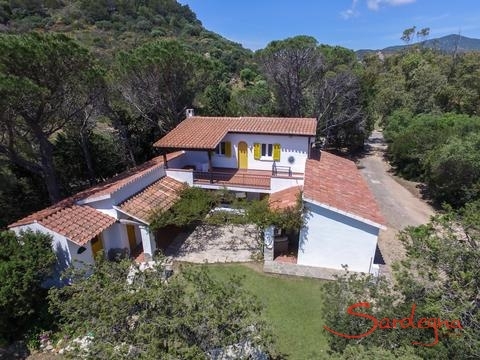 A former farmhouse in a fantastic individual settingVilla Beatrice lies on approximately two acres of undeveloped property right on the sea. To reach the fine-grained beach, simply walk 150m through the property of your villa to the edge of the water. Here one can indulge in the dream of every vacationer, a quick morning swim before breakfast. 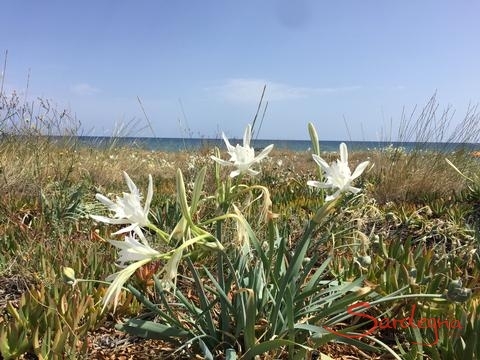 Torresalinas is a charming region in southeastern Sardinia, largely free from tourism and only four miles from the town of Muravera. The broad half-mile long beach, with its scenic bay, is ideal for swimming and seaside strolls. 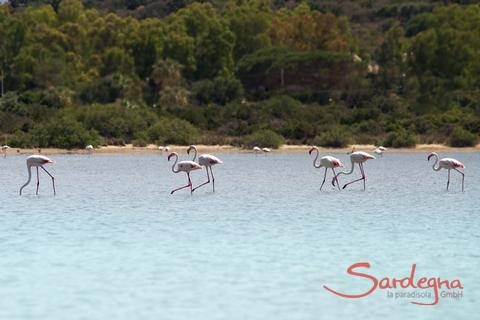 The villa itself is situated on a nature preserve which serves as a home to flamingos. A little road behind the house leads to the next neighboring homes and to a small hotel. A simple life surrounded by natureThe house is built in a U-shape, and was originally used as a riding center. The inner courtyard on the ground floor originally held horse stables and is charmingly reminiscent of an old abbey. Villa Beatrice is purposefully decorated and tastefully appointed. The bedrooms in the lower living area open directly to the inner courtyard. An additional bedroom, reached by an outdoor staircase, is located in the upstairs floor. Also on this level are an additional bathroom and a large, half-covered terrace with a view of the water. The Mediterranean enjoyment of the outdoors can truly be enjoyed in the courtyard with its large dining table and built-in barbeque. Guests will truly enjoy the flowered, protected Pergola and comfortable outdoor sun lounge chairs. A romantic path through evergreen macchia bushes leads directly to the sea. Instead of the classic terrace there is a pebbled forecourt with a grassy lawn. With five bedrooms and a total of ten beds, even two families would enjoy the roomy space of the villa. 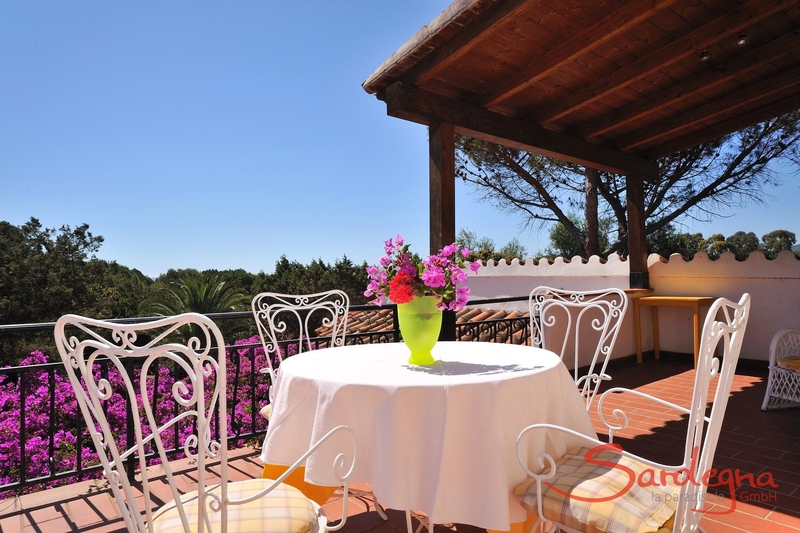 In the upper storey, reached by an outdoor staircase, is a double room, one bathroom and a furnished patio with views of the sea. The small living room has its own fireplace. The roomy built-in kitchen is aptly appointed and has a dishwashing machine. A washing machine is also included. 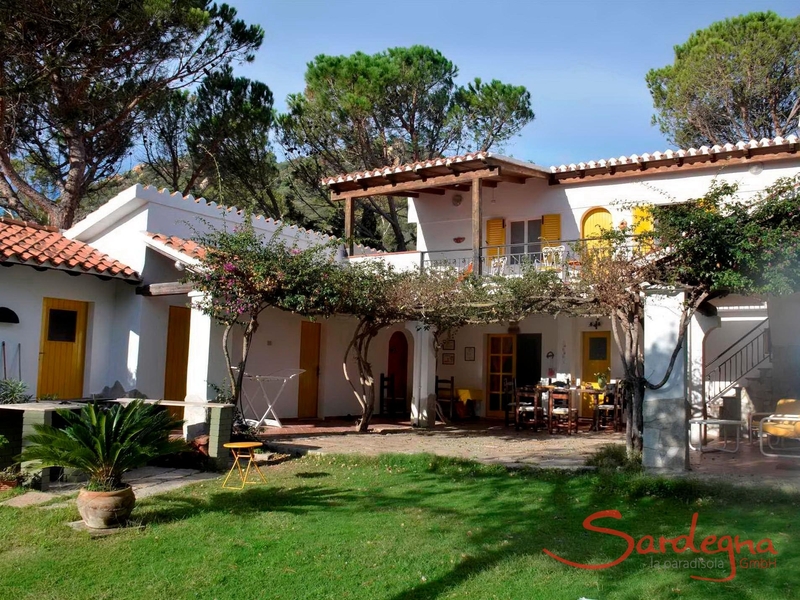 Despite the spaciousness of the house, the owners limit the number of guests to six people.Enjoy the video of villa Beatrice!In the areaDaily cappuccinos lie a short walk away at the beach bar “Il Moro,” or at the nearby camping ground. There you can also find fresh Austrian rolls in the morning. A rich assortment of restaurants and shopping opportunities of all sorts are found in the nearby town of Muravera. Around the corner in San Priamo, churches, gas stations, fishmongers, supermarkets and restaurants offer a nicely authentic atmosphere. 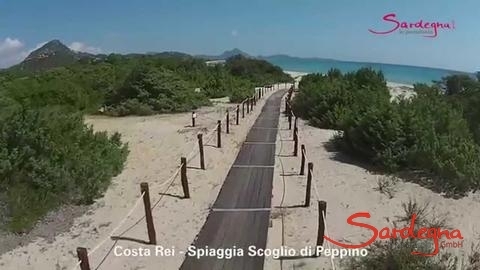 For beaches, guests can choose from Torresalinas, Ferraxi, Capo Ferrato and Costa Rei. 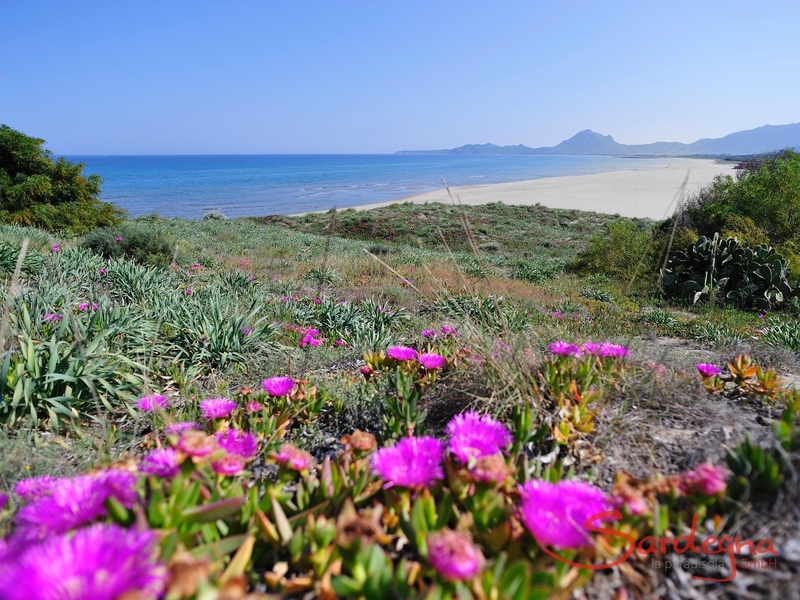 To Cagliari and the airport, it is only 50 minutes by car. Villa Bau Cannas is a light-flooded property in a unique location: it sits alone on a dune just 50 meters from the spectacular Torre Salina beach. The thatched roof terrace and the natural garden with mature trees provide relaxed privacy. 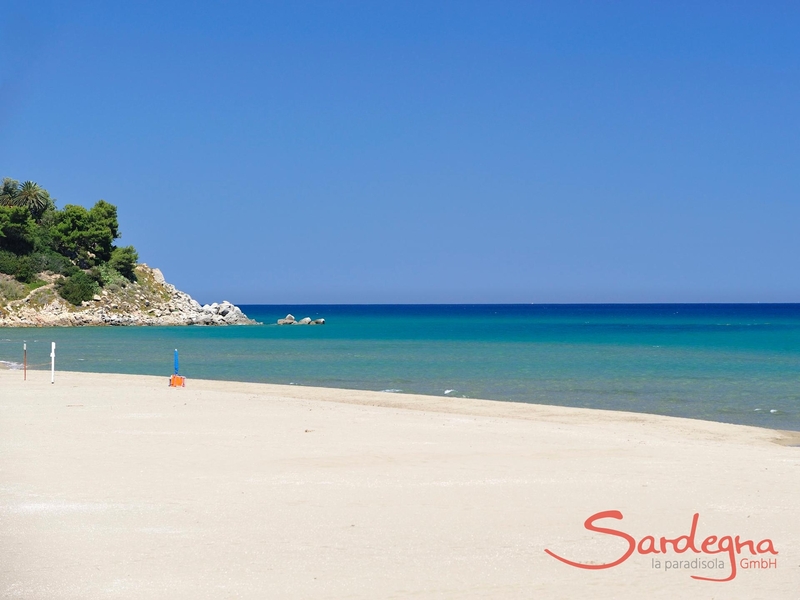 Enjoy Sardinia now! Villa Philippine is a little piece of paradise: the colonial style, detached property is located on an evergreen hill. The generous terrace is just a few steps from the Torresalinas dunes, and its view sweeps over the blue sea. 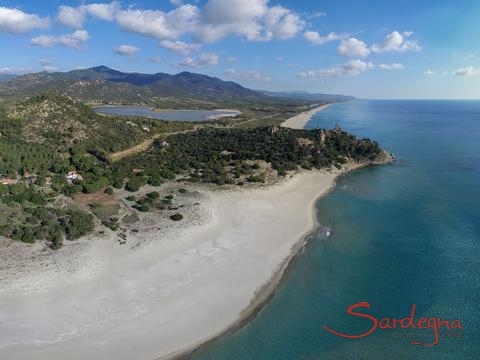 Book now and enjoy Sardinia in a whole new way! Villa Isabelle is a peaceful oasis near San Priamo, framed by fragrant orange trees. The exclusive villa, with a breathtaking ocean view, is a tranquil refuge poised under a protective granite massif. Situated only 3.5 km from the dream beach of Torresalinas. Book now! Villa Caroline is an exclusive country house for those who love stylish seclusion. It is surrounded by fragrant orange trees in the San Priamo plain. Pure relaxation can be found in the large garden with a private pool - and the Torre Salinas beach is just 3.5 km away. Plan now!